ouâ&#x20AC;&#x2122;ve been staring at the same drab living room for many years. Youâ&#x20AC;&#x2122;re tired of its look, but a complete re-do is too expensive. 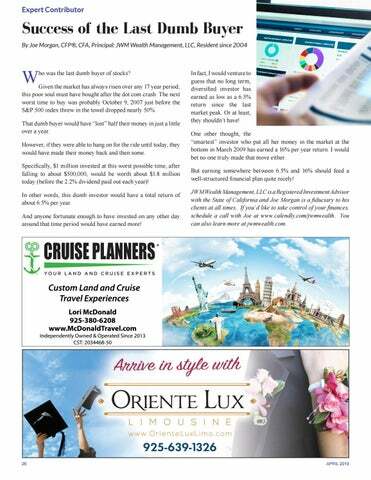 Well, look no further for some budget-friendly tips. 1. 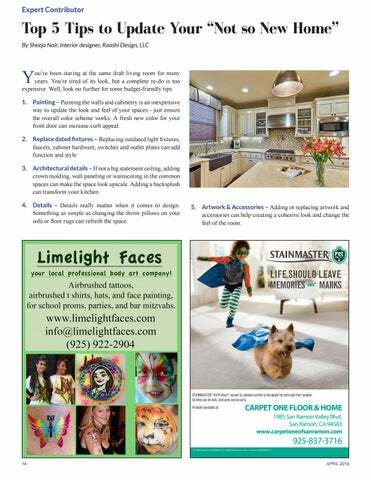 Painting â&#x20AC;&#x201C; Painting the walls and cabinetry is an inexpensive way to update the look and feel of your spaces - just ensure the overall color scheme works. 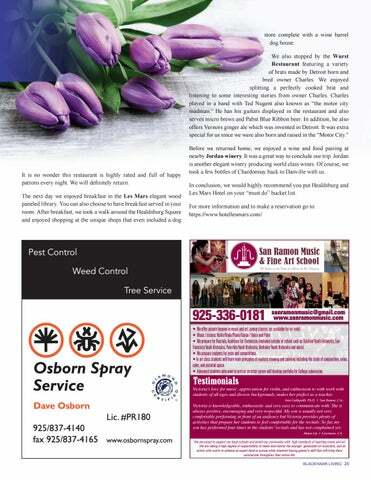 A fresh new color for your front door can increase curb appeal. 2. 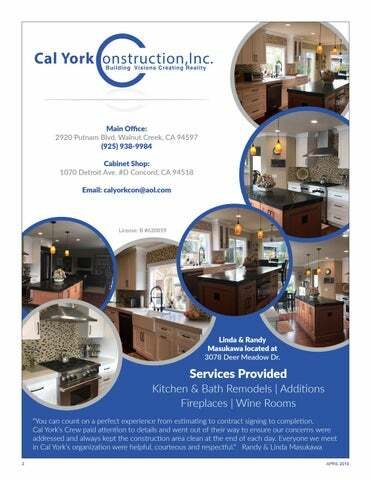 Replace dated fixtures â&#x20AC;&#x201C; Replacing outdated light fixtures, faucets, cabinet hardware, switches and outlet plates can add function and style. 3. Architectural details â&#x20AC;&#x201C; If not a big statement ceiling, adding crown molding, wall paneling or wainscoting in the common spaces can make the space look upscale. Adding a backsplash can transform your kitchen. 4. Details â&#x20AC;&#x201C; Details really matter when it comes to design. Something as simple as changing the throw pillows on your sofa or floor rugs can refresh the space. 5. Artwork & Accessories â&#x20AC;&#x201C; Adding or replacing artwork and accessories can help creating a cohesive look and change the feel of the room. 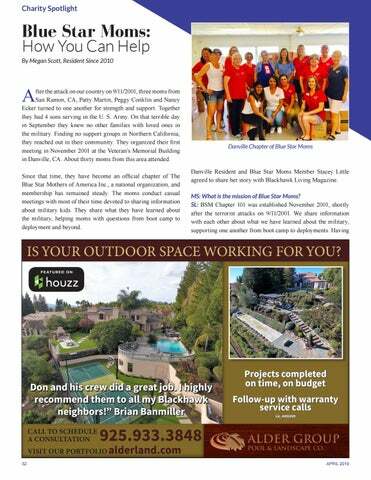 Blackhawk Living CA Magazine presents our newest sponsor and expert contributor, Cal York Construction! Push Present Gift Ideas from the New Grandparents! 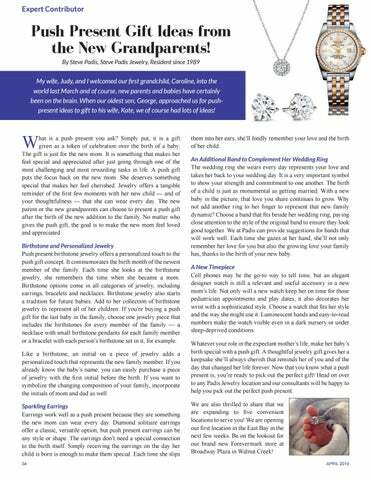 Blackhawk Living Magazine presents our jewelry expert, Steve Padis, with a helpful article on push presents for new Moms. 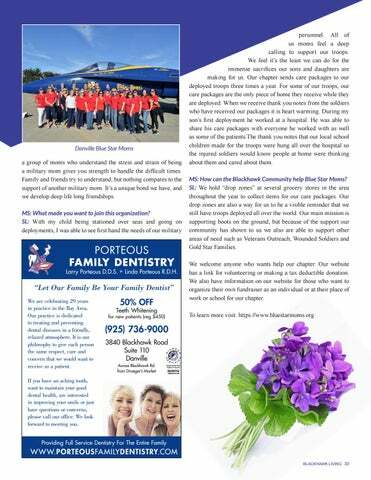 Blackhawk Living Magazine presents a discussion with Stacey Little about a local charity spotlight, Blue Star Moms. 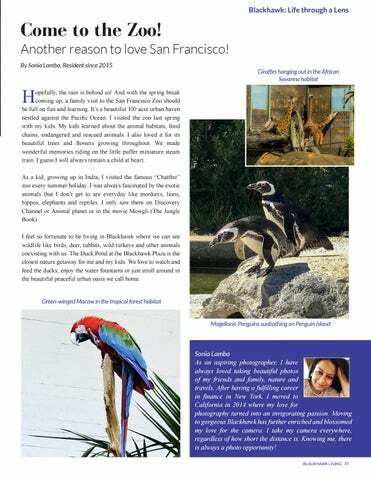 Blackhawk Living Magazine presents our neighbor, Sonia Lamba, with her visit to the San Francisco Zoo. 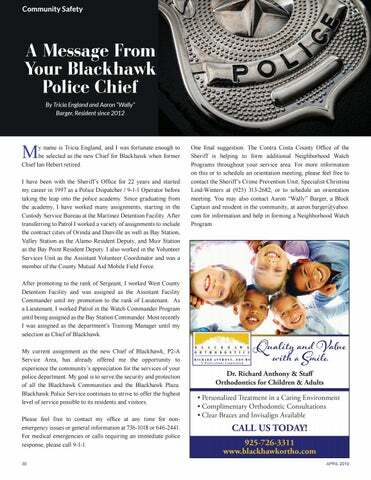 Blackhawk Living Magazine presents our community safety contributor, Aaron “Wally” Barger, intoducing our new Blackhawk Police Chief, Tricia England. 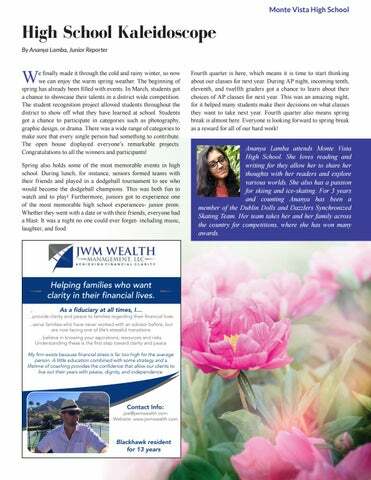 Blackhawk Living Magazine presents our neighbor, Ananya Lamba, with the current happenings at Monte Vista High School. 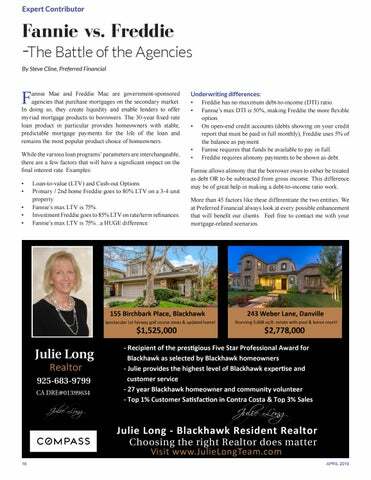 Blackhawk Living Magazine presents our financial expert, Joe Morgan, with helpful advice about the market. 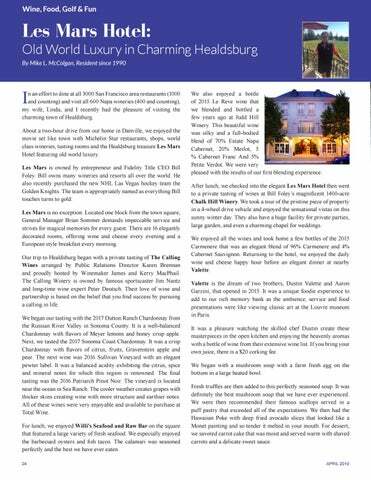 Blackhawk Living Magazine presents our wine, food, golf & fun contributor, Mike L. McColgan, with his visit to Healdsburg. 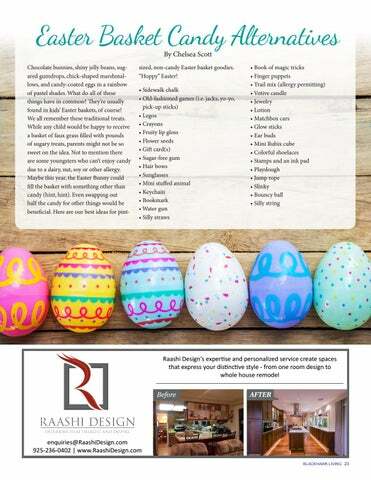 Blackhawk Living Magazine presents some great alternatives to candy this Easter. 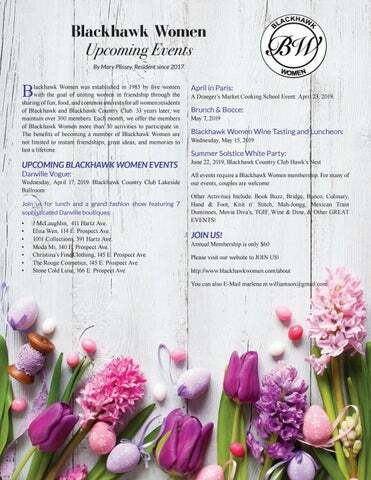 Blackhawk Living Magazine presents our neighbor, Mary Plissey, with some upcoming events for Blackhawk Women. 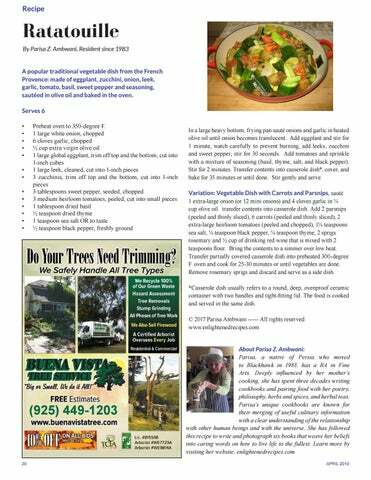 Blackhawk Living Magazine presents our neighbor, Parisa Ambwani, with a delicious recipe for ratatouille. 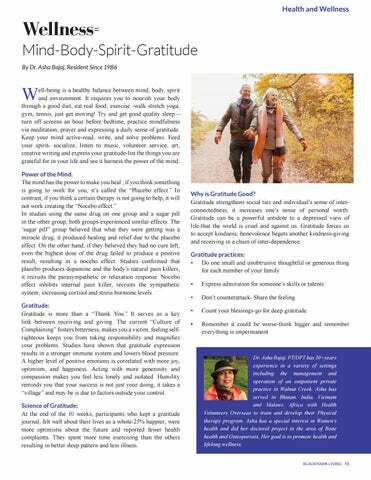 Blackhawk Living Magazine presents our health and wellness contributor, Dr. Asha Bajaj, with a helpful article on the mind and the power of gratitude. 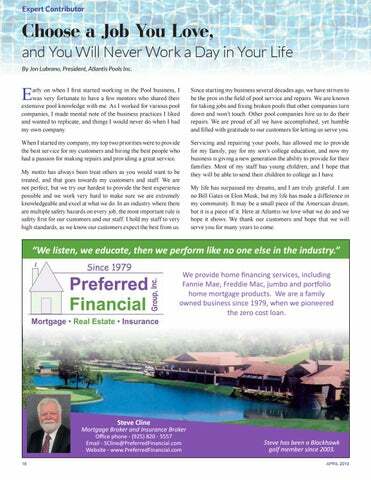 Blackhawk Living Magazine presents our pool expert, Jon Lubrano from Atlantis Pools, with some wonderful insight on working for yourself. 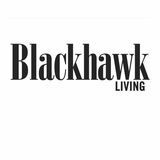 Blackhawk Living Magazine presents our mortgage expert, Steve Cline, with a helpful article on Fannie Mae and Freddie Mac. 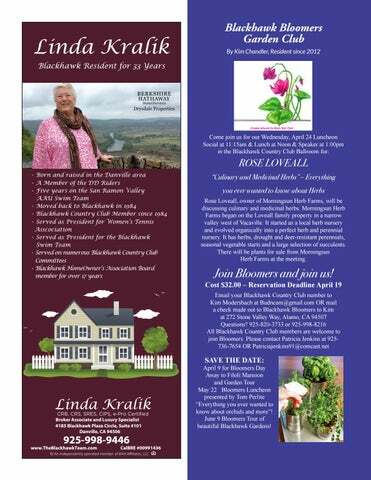 Blackhawk Living Magazine presents our neighbor, Kim Chandler, with some upcoming events for Blackhawk Bloomers.